this photo is a perfect compliment to such beautiful thoughts written. Lauren, I’m lovin’ your haiku! This one is really fabulous, complimented by your son’s gorgeous photo!! Another great job! The words match the picture! Nice one. Sweet–and I may get to revisit SF this June! Yay! You actually made me think i was back there! best description I ever heard of this magnificent bridge! Good job Lauren! Your words beautifully complement the photo. Very fitting haiku honoring that magnificent Golden Gate Bridge! Wonderful Haiku again, Lauren! 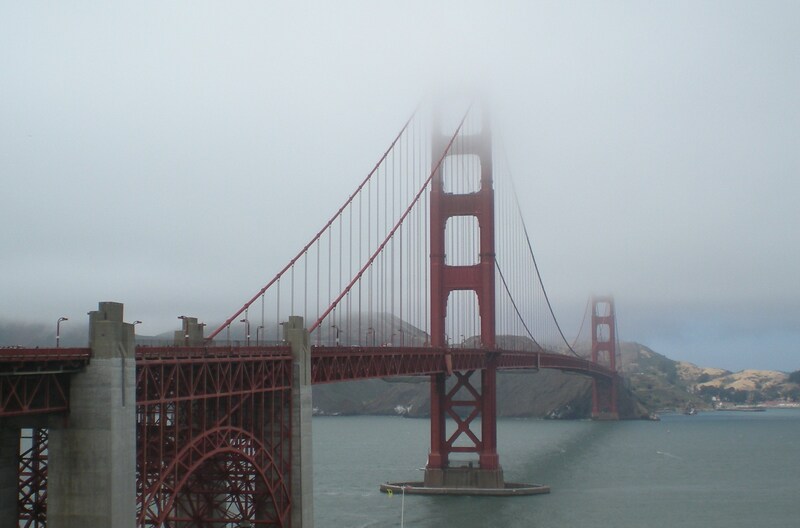 I’ve always wanted to travel to San Francisco and see the Golden Gate Bridge. Came very close once – maybe someday! Thanks, Betty, and I hope you get to SF someday. This bridge is truly a sight to see! Wonderful poetry perfectly matched with equally wonderful photograph! Thanks Lauren….and I so miss the Bay Area. Blessings and love & light! This is good – well done.